Helps balance body odour and detoxify the whole body without a heating effect. If your body has accumulated "Ama" in the fat tissue or liver, or you have been eating an impure diet, then your sweat becomes impure and your body can release a sour-smelling odour. Detox Pitta provides nutritional support to gently detoxify the body and purify the sweat. 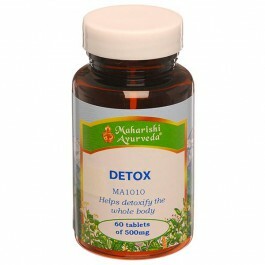 This gentle combination of Ayurvedic herbs helps to purify the sweat and support the liver, metabolism and elimination. Especially recommended for Pitta body types or those experiencing Pitta imbalances. In Ayurveda, digestive impurities are called "Ama". They can disturb the liver, circulation, nutrition, elimination, blood, muscle and fat tissue. Even if you eat healthy food, if your digestion is not strong your will probably produce Ama. 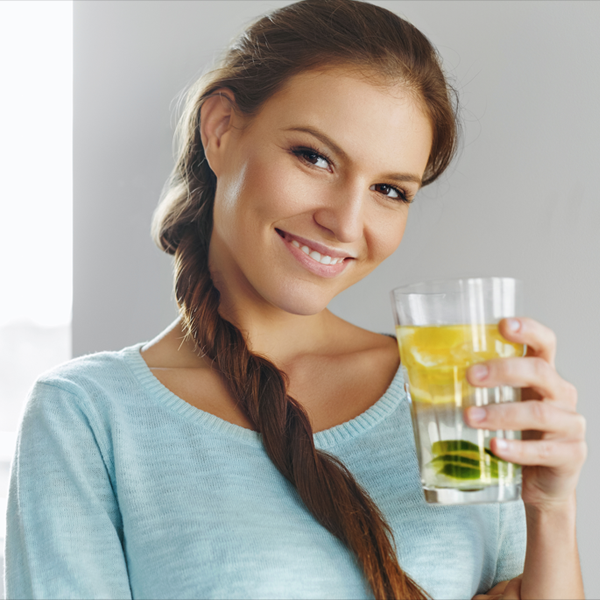 While some internal cleansers purify the colon and digestive tract only, Detox Pitta detoxifies your whole body by supporting the natural purification of the liver and metabolism. 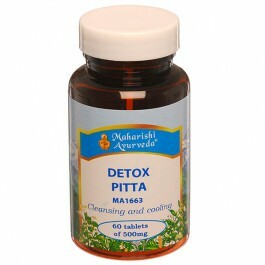 The herbs in Detox Pitta are combined in precise proportions and prepared the traditional Ayurvedic way. This improves bioavailability and assimilation of vital nutrients. It also creates synergy -- the collective benefit is much greater than isolated, individual herbs. Indian Sarsaparilla and Rosewood help flush toxins from the blood, muscle and fat tissue. Indian Madder, Sandalwood, Indian Tinospora and China Root help cleanse toxins from the body without aggravating Pitta dosha. Guggul, Indian Tinospora, East Indian Walnut and Cobra’s saffron help remove toxic Ama from the body without heating the system or aggravating the liver. Strong body odour is a sign of an over-accumulation of Pitta Dosha in your body. It also indicates that the excess Pitta is blocked and not being eliminated in the normal way. 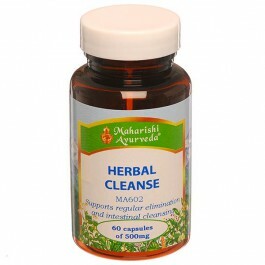 Some internal cleansers only purify the colon and digestive tract. 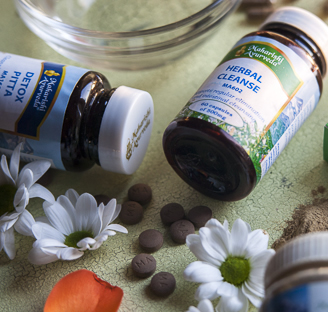 Detox Pitta detoxifies your whole body and helps reduce strong body odour, by supporting the natural purification of the liver and metabolism. 60 tablets - 30g, 30 - 15 days supply.